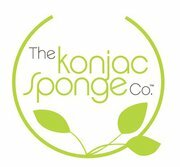 I was at the Natural Products Show last weekend, and I was utterly delighted to notice that someone has finally brought konjac sponges to the UK. I first became aware of them about ten years ago when I was in the US, but they looked pretty scary, and, in spite of being urged to try one by one of my more adventurous friends, I chickened out. Konjac is a vegetable, and konjac sponges (Konnyaku in Japan) are widely used in Korea and Japan. They’re made from flour ground from dried konjac “potatoes”, and in their dried state, resemble sea-sponges. The Konjac Sponge Company import their sponges direct from Korea, and, in addition to the baked konjac flour, they add a little mineral clay to several of their sponges to give added skincare benefits. Also, they’re the only company in the UK to ship their sponges in a wet state, so they don’t look like … well, baked vegetables! So, what does a konjac sponge actually do? Essentially, you use it in place of (or alongside) your regular cleanser, and it provides a tiny amount of non-abrasive exfoliation, and the natural plant extracts from the konjac itself leave your skin feeling smooth and slightly moisturised. I say slightly, but at the Natural Products Show last Sunday, the fingertips I’d been prodding the demonstration sponges with felt so smooth and silky that I couldn’t stop rubbing them together afterwards! I’ve been trialling a pink clay konjac sponge (for tired/devitalised skin) ever since, and I’ve enjoyed using it a great deal. Whilst using it alone isn’t the best cleanser in the world for removing makeup, I discovered, for a refreshing face-wash in the morning using only water, it’s about perfect. The sponge is smooth, and feels slightly silky on the skin, and it works well even on my rougher, thickened skin patches (so, my chin, basically). Basically, you dip the sponge in warm water, then rub over your face, afterward, your skin feels clean, smooth and – there’s no other word for it – velvety. It’s an unusual sensation to get used to, you’ll spend a day or two playing with your face in amazement, but I think I’m a little bit in love with a sponge. Whilst I don’t think I’ll be replacing my Clarisonic with one any time soon (I’ll still be using that at night), these are an excellent addition to the skincare routine of anyone with dry or sensitive skin in particular, and there’s even a charcoal infused sponge for skin that’s prone to spots. Best thing about them? They cost around a fiver, and last for months and months. Cheapest face care product I can recommend! Find out more at the Konjac Sponge Company website. The Fine Print:Review written from press sample – I’m not affiliated with the company, but please do go and say hello to Michelle, who runs the company, on Twitter – @konjacsponges – she’s really lovely.